The collaborative resource for exploring and settling the Red Planet. Join the Marspedia Project! 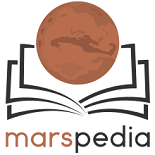 Help us to create an online encyclopedia about Mars! Refine an Article Stub into something more complete. Write a new article for something on our list of Needed Articles. Tidy up an article that is listed in our Cleanup Category. Join the Editorial & Technical Subcommittees. Submit Your Content to Marspedia and we can add it to the wiki for you! Use the "Edit" button on any page to make use of our Visual Editor. Here's its Help Guide. Use the "Edit Source" button on any page to use the code-based editor. Here's a list of Wiki codes you can use. Use the Search Page or the top Search box to quickly locate articles. Use the Category Tree (or click "Browse" in the left navigation) to look through the index we've set up. Use the All Pages feature of Mediawiki to locate anything in the wiki. The Editorial Subcommittee examined the past ad hoc approach of categorization of Marspedia articles and found it to be lacking a structure of how information about Mars is displayed and searched. The Subcommittee wanted a logical and navigable hierarchy of categories. This would also form the core of a new Browse experience. 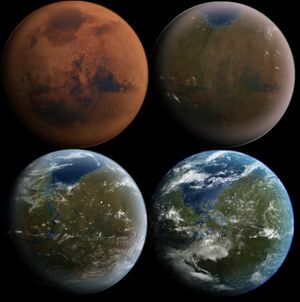 The new Marspedia category tree is much more focused on the future and specifically expanded on aspects of the future human exploration and permanent settlement of the Red Planet. It also focuses on outreach (advocacy) and the arts and literature to encourage individuals and the public at large to support human exploration and settlement there. Finally Marspedia is focused on providing the best source of information about past, present, and future exploration and settlement of Mars. All categories for Marspedia roll up into the following 6 top-level categories. Two lower tiers of categories and pages linked to them can be seen by clicking the link icon on each. Creators of new pages should only link one or more of the categories in the hierarchy shown below to their page. II. Mars Spacecraft/Robotic Missions - (non-human) - mission planning and execution history.